Do you smell that? Fall is here, and the aroma of Chili is in the air! 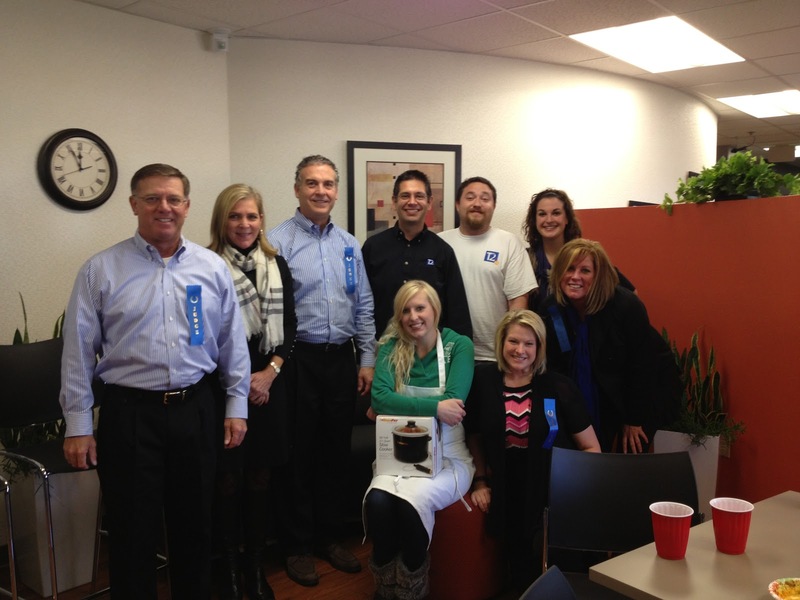 At least it was on October 11 when RJE's Michelle Thompson was fortunate enough to be asked to judge the annual cook-off for one of our great customers, T2 Systems. Michelle and representatives from Carmen Real Estate, Leaf Software, and MS Consultants tasted seven (7) creative chili concoctions made by T2 Systems employees. After much deliberation, the winner was chosen. Ryanne Moe whose chili was topped with a creamy southwestern sauce, was the victor by a one point margin over 2nd place. Get geared up for next year, RJE is already on the judges list! Thank you T2 Systems for a great lunch and wonderful partnership! Jim Hutchins (2nd place) - T2 Systems, Scot Denman (3rd place) - T2 Systems, Alex Carmen - Carmen Real Estate.